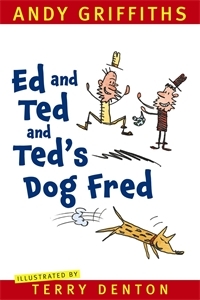 When Ted's dog Fred bites Ed on the head, Ed sees red! A tale of fast cars, spills and thrills, and a whale called Ned. A rhyming story of mischief and mayhem that will delight everyone, especially beginner readers, accompanied by Terry Denton's energetically comic illustrations.